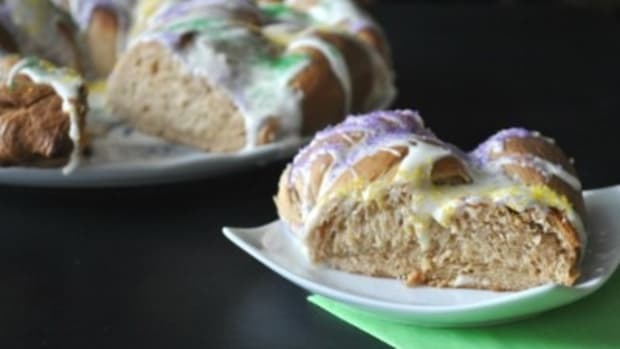 So when my mom was given this recipe from Kate Hogwood, a sweet 82-year old widow in our North Carolina neighborhood, she knew she had a treasure. 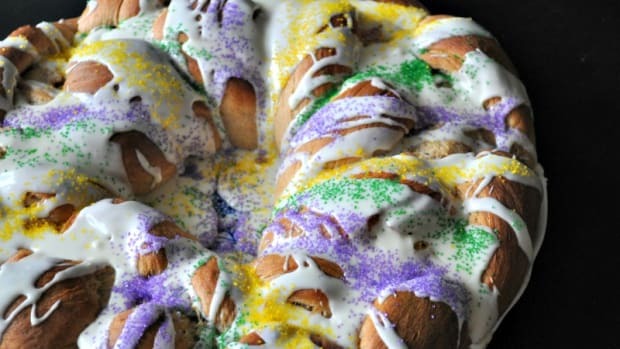 This recipe is smooth and rich, moist and flavorful. 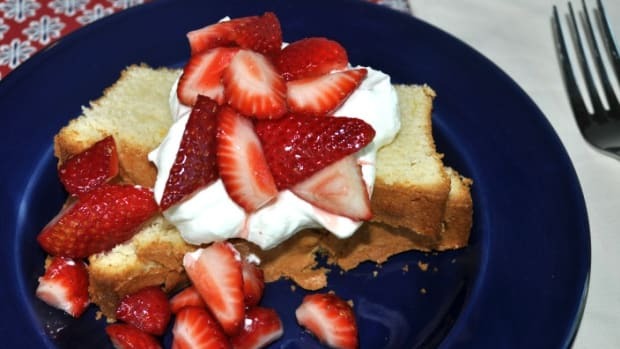 It pairs perfectly with fresh-cut strawberries and home-style whipped cream. Another bonus? 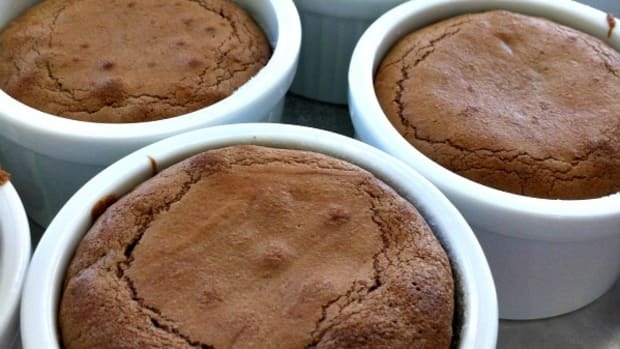 It freezes like a dream, so make the full recipe, freeze the second cake and your dessert is ready for the next event. I like to believe Kate was passing on her recipe for safe keeping and more importantly, for sharing. For authenticity, I left the recipe just as Kate wrote it down. Have all ingredients at room temperature. Cream sugar, butter, margarine and shortening. Add boiling water. Lower the speed of the mixer after the addition of eggs, one at a time. Add flour and milk alternately, beginning and ending with the flour. Flavorings may be added at any time during the mixing process. Grease the bottom of a 10-inch tube pan or two loaf pans (Pam works fine). Pour batter into prepared pan and put cake in cold oven. Turn heat to 325. Bake tube pan for one hour and 30 minutes until toothpick comes out clean. Loaves should take about an hour. Cool 15 minutes before removing from pan. Like Kate states, there are key steps to getting this right. Follow the tips about having ingredients at room temperature, lowering the speed after you add the eggs and putting into a cold oven. You’ll want to use Bake, not Convection Bake to allow the batter to cook slowly and rise evenly and form the crispy crust on top. Don’t be afraid to let the cake turn golden brown. The inside will stay a traditional yellow. Your guests will fight over the crunchy top. 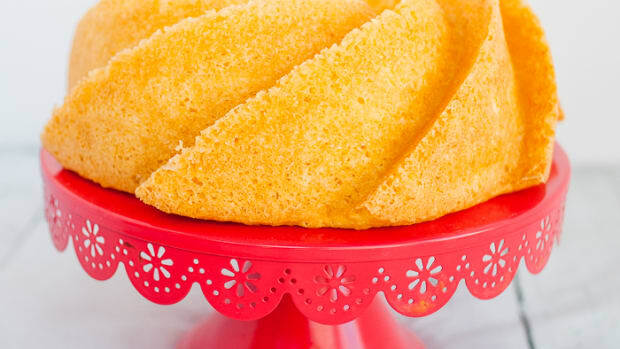 You’ll never need to buy a frozen pound cake again, promise. The secret's out! 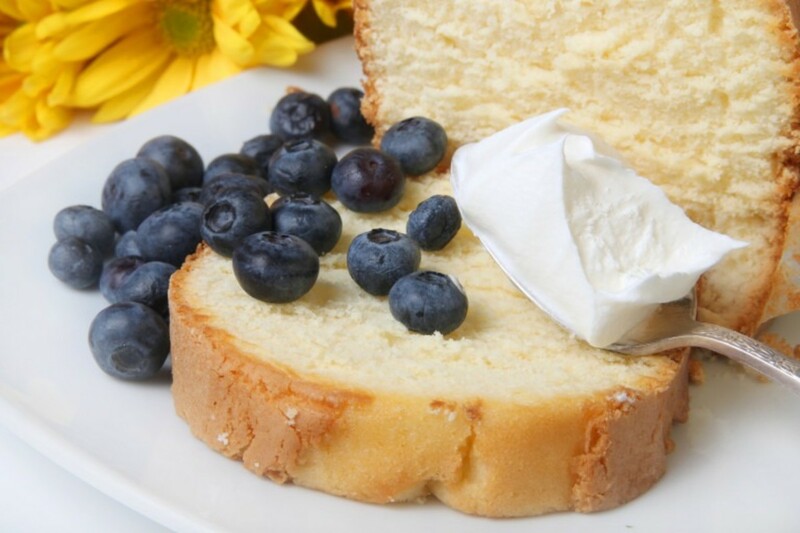 This classic Southern Pound Cake Recipe has a smooth, rich flavor - the last pound cake recipe you'll ever need, promise. Need a simple yet elegant dessert for your next dinner party? 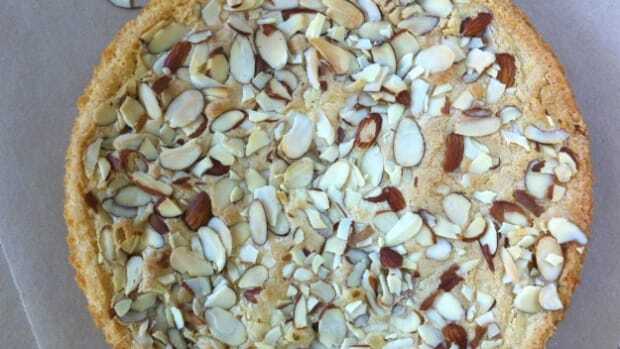 Try this Almond Cake Recipe. Six ingredients and less than sixty minutes - Done. 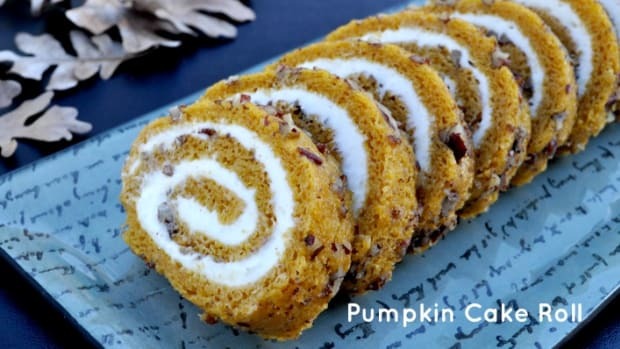 A treasured recipe from a neighborhood cookbook - Pumpkin Cake Roll - You may just win first prize at the State Fair... or your dinner table! Do you have a hard time saying goodbye to Christmas? 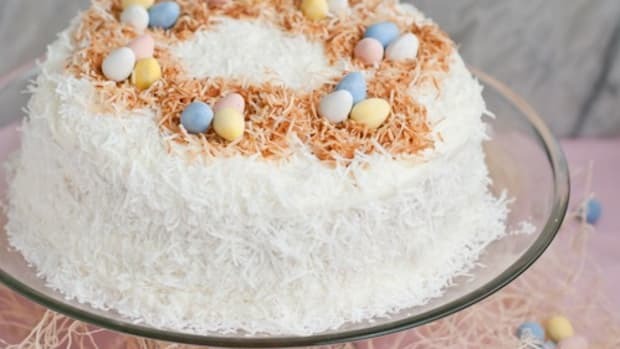 An Easter tradition my family always had growing up was a coconut cake made (or sometimes bought) by my grandmother.